Overview... a retired officer of the law. Wyatt moves to the boomtown Tombstone in the late 1870s to live an easier life along with his brothers Virgil and Morgan, and his wife who is unfortunately addicted to pain medication. There Wyatt meets up with longtime friend Doc Holliday, who is sick with tuberculosis. 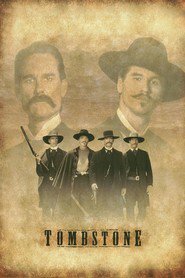 Together, the group decides to take it upon themselves to battle the crime and lawlessness rampant in Tombstone. So much for an easier life. Personality… righteous, serious, and loyal. Wyatt believes in being true to the laws of right and wrong. And when he sees his town getting out of control he quickly rises to the challenge of making things right again. He isn’t a teetotaler or buzz-kill in any way. He simply doesn’t want to live in a place where bloodshed is common and no one is protecting the innocent from the evils of the often lawless American West. Wyatt Earp's popularity ranking on CharacTour is #2929 out of 5,000+ characters. See our top-ranked characters and read their profiles.